Putting home made and home grown back in the heart of communities and supporting small enterprises. GIY is all about reconnecting people with real food through growing, cooking and eating locally and seasonally. We love finding new ways to put homegrown, and homemade, back in the heart of communities. and we want YOU to join us. We have the opportunity to support the set-up of 10 new Cottage Markets in 2018. One of those could be in your community if you apply here to start your own Cottage Market. And don't worry, each new Marketeer will receive lots of training and support from GIY and our experts in Social Enterprise, Marketing, Finance and Food. Established by Karen O'Donohoe, Head of Community Development at GIY, The Cottage Market is a great initiative that we were only delighted to take on as one of our GIY community initiatives. Like GIY Groups, and Irish communities, The Cottage Markets are all about the people in them. Each market is unique because they are a reflection of the community they are in. The skills, talents, and personalities of the people who contribute create The Cottage Markets. The growers, crafters and jewellers, the carvers, cooks and knitters in your local area are all welcome to join the Cottage Market Crew! 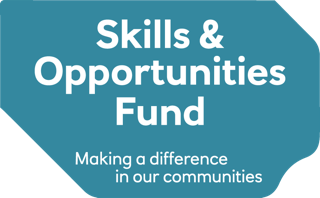 Over the past year we have been given support and funding from The Ireland Funds and the Ulster Bank Skills and Opportunities Fund. This means we have helped 18 communities across the island of Ireland set up their very own local Cottage Markets. Visit www.thecottagemarket.ie to see and read some of their great stories and find them on Facebook , Twitter and Instagram. This year the brilliant people over at The Ireland Funds are back on board once again and helping us to support another 10 communities across Ireland to set up their very own Cottage Market!